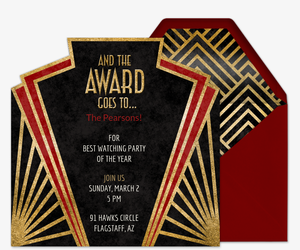 Gather the gang for a cozy movie night, television marathon or awards show viewing party -- get rolling with an Evite Viewing Party invitation! Whether you’re planning to wind down with a classic film or stay up all night binge-watching your favorite show, Evite has nearly 100 free and Premium viewing party invitations you can send to your friends. Divulge all the details in your custom host message, including whether guests can bring a plus one and if the party is BYOB (Bring Your Own Blanket). If you’re hosting an awards show viewing party, let guests know the dress code, especially if you want them to go glam for the evening. Not sure what flick your friends want to see? 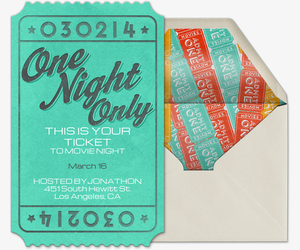 Use your invitation's poll feature to ask your friends what they fancy. Then use the “What to Bring” feature to let guests know what they can contribute, from movie munchies to bubbly. 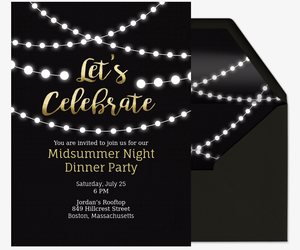 Choose from dozens of our free and Premium digital invitations inspired by cinematic icons including movie reels, theater tickets and popcorn. 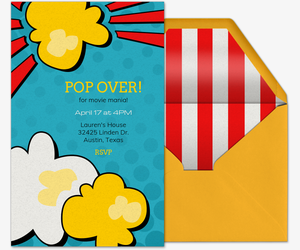 Tell your friends to “Pop Over” for a movie with our Premium popcorn-themed invitation. Or select one of our designs inspired by popular movies, television series and events you can live-stream -- ice castle, “watching dead” or “Couchella,” anyone? 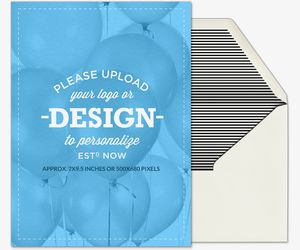 Our ad-free Premium Evite invitations and matching envelopes can be purchased for $5 for up to 15 invitations, or $12 for up to 50 invitations if you’re expecting a larger audience. On the edge of your seat for television, film or music awards? Share the excitement with your friends by hosting the best awards show viewing party in history and reel them in with an awards show viewing party invitation from Evite. 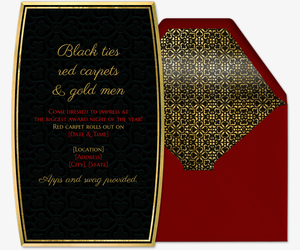 Choose from dozens of free and Premium awards-themed invitations. 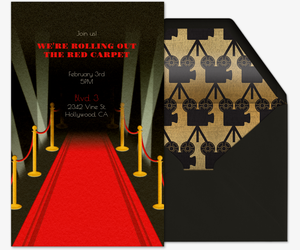 For a red carpet-worthy party, pick one of our Premium old Hollywood-inspired digital designs, or for a more casual affair, choose our free “Who are you wearing?” invitation -- even if you’re planning to invite guests to parade around in their PJs. Make hosting your claim to fame by getting expert tips from Evite Party Ideas. 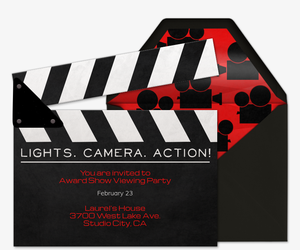 For awards show season, get the full story from our showstopping awards show viewing party guide. Get guests involved by downloading our free printable film award show ballots (annually updated with all the nominees), our awards party bingo cards and awards party bingo: gown edition. Then check out our award-winning cocktails to get guests in the spirit, from the Red Carpet to the Critic’s Choice. Finally, go for the gold with DIY sparkly bottles and glam it up with an elegant bubbly bar. Not sure how to set up for your viewing party? Get pointers from our movie night party guides. And no matter what you’re watching, be sure to serve up these gourmet movie snacks that go beyond basic popcorn and standard sweets.